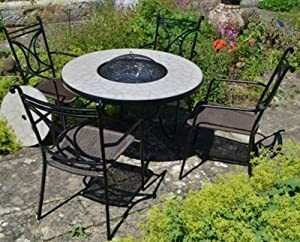 Garden incinerators & Fire Pits are reluctantly selling the fantastic Tudela Low Fire Pit Table at a slashed price. 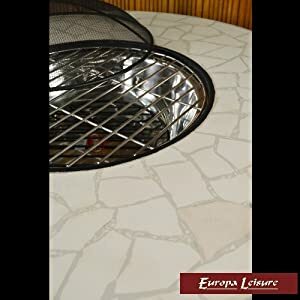 Don't pass it over - buy the Tudela Low Fire Pit Table here today! The Tudela low table standing at 62cm in height offers a relaxed coffee table height, the table can be used as either a firepit, BBQ or perhaps for chilling your drinks. 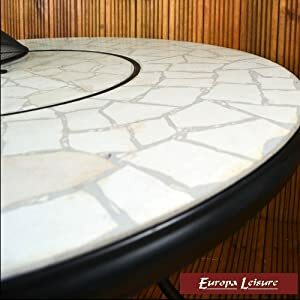 Each table comes with 2 removeable steel bowls, a stone lid to return the table for a more orthodox use. 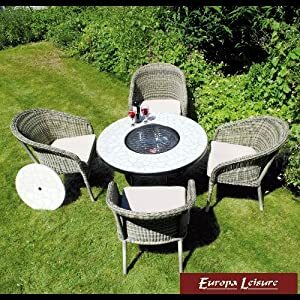 The chairs in the image are not included but the set can be bought together in other listings. 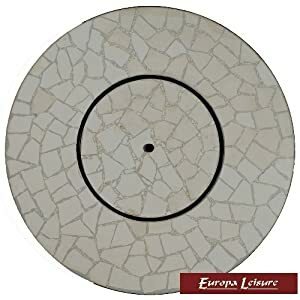 The 107cm Tudela is hand crafted using travertine of predominantly cream and beige colours laid crazy paving fashion and grouted to a smooth finish. Illustrated chairs not included. Dimensions - Height 62cm, Width 107cm, Depth 107cm. Weight 51.5kg. Please note this item is only available in Mainland UK. If you require shipping to the Highland and Islands, or Northern Ireland then please contact us for a price.